The Human Rights Consortium has launched a new report which highlights the inherent risks to the enjoyment of existing human rights in Northern Ireland from the process of the UK leaving the EU. The report ‘RIGHTS AT RISK – Brexit, Human Rights and Northern Ireland‘ is the product of extensive research by the Consortium with its members and civil society groups across Northern Ireland over the last 12 months. It outlines the breadth of the protections enjoyed by individuals in Northern Ireland through current EU membership, how those protections are intimately linked to the Belfast/Good Friday Agreement and why those rights are currently at risk within the Brexit withdrawal process. Speaking at the launch of the report the Director of the Consortium Kevin Hanratty said, ‘There is a clear link between the Northern Ireland peace process and membership of the European Union. EU membership was the assumed context and backdrop for a peace agreement 20 years ago. It also provided an important legislative scaffold that allowed the institutions of governance of the new peace agreement to function effectively and act in accordance with a range of important human rights standards. Following the referendum result it was clear that this existing tapestry of rights may be at risk due to the significant constitutional upheaval that Brexit represents. 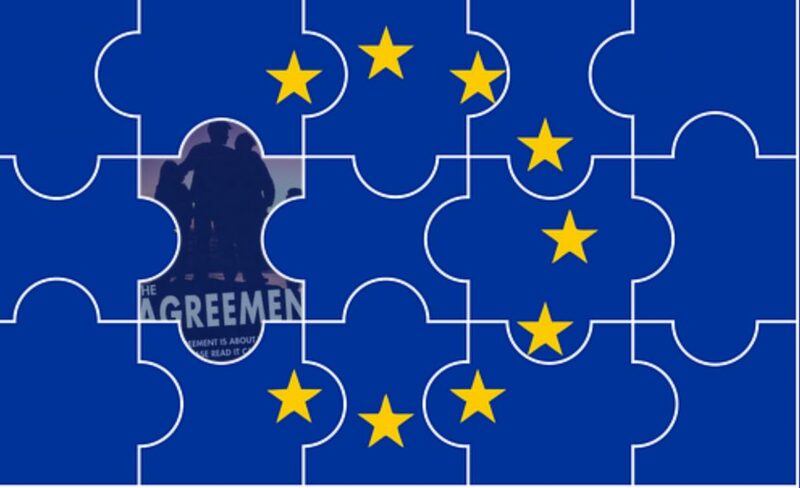 The Consortium research sets out the challenges as regards protecting existing EU derived rights as we move into the second phase of the EU/UK withdrawal negotiations and we hope this research will act as both a guide for civil society in those discussions and an indication politically of some of the priorities for this next phase of talks. This report highlights the impact of these cross cutting issues across a range of areas and sectors covering: citizenship; children and young people; women; LGBT people; people with disabilities; workers; and the environment. Across all of these sectors, interlocking rights are impacted by Brexit. At present, while there have been high level commitments to ensuring there will be no impact on the rights enjoyed in Northern Ireland, these commitments have still to be translated into specific and detailed mechanisms to ensure that Brexit will not lead to a reduction in rights. The uncertainty and disruption of Brexit highlights the current human rights lacuna in Northern Ireland in the form of the outstanding commitment from the Belfast/Good Friday Agreement of a strong and inclusive Bill of Rights for Northern Ireland. While it is not a perfect solution to the complexity of rights issues raised by the UK leaving the EU, it is clear that it could offer reassurance to people living in Northern Ireland that the constitutional settlement for Northern Ireland post-Brexit will be founded on a robust human rights framework.